Iberdrola subsidiary ScottishPower has awarded a £1 billion contract to Siemens and cable manufacturer Prysmian to build the first ever sub-sea electricity link between Scotland and England. The 420km link will run from Hunterston in the West of Scotland down to the Wirral in Liverpool. 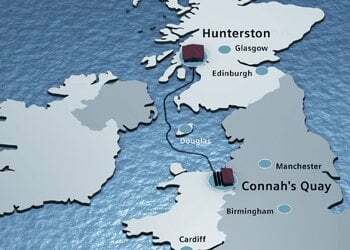 The grid expansion project aims to deliver 6GW of renewable energy from Scotland and will be the first submarine interconnector ever using a direct current voltage level of 600kv. 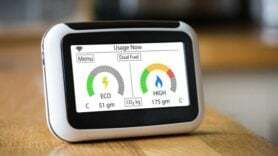 The UK Government’s urgency to move to a low carbon energy market has caused regulator Ofgem to fast-track ScottishPower’s £2.6 billion, eight-year investment plan to start in 2013. A key element of the plans is the connection of offshore and onshore wind generation in Scotland of around 11 GW, which Iberdrola say will be enough to power over six million homes. 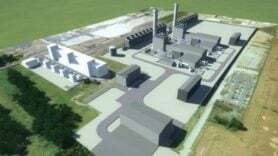 Ignacio Galán, Chairman of ScottishPower said: “The HVDC link is a major project in the context of a vital upgrading of the UK electricity grid over the coming years, with the electricity grid between Scotland and England already running close to maximum capacity. The high voltage direct current link with a transmission capacity of 2200MW is scheduled to be operational by 2015.